The Southern Historian is an annual journal of Southern history written, edited, and produced by graduate students from the University’s history department. 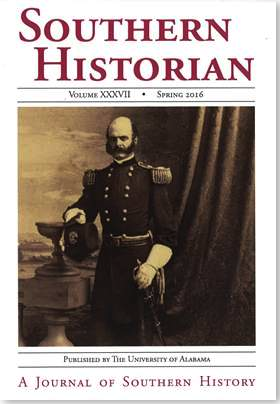 Distributed each Spring, each issue features original research articles on an aspect of Southern history and culture, an in-depth interview with a well-known historian and book reviews of recently published history volumes. A volume of collected interviews of well-known historians from the Southern Historian was published recently by The University of Alabama Press.